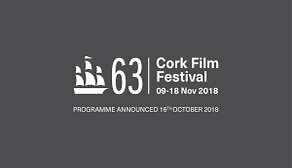 The Cork Film Festival 2018, taking place on 9th - 18th November, has with support from Screen Ireland, launched their programme of Industry Days. Industry Days provide invaluable opportunities for established and emerging filmmakers to connect, and to explore all aspects of the film industry. Cork Film Festival’s annual documentary-focused Industry Day, Doc Day is a major event that engages and connects Irish and international documentary filmmakers and industry leaders, it provides a vital platform to promote Irish documentary film and filmmaking talent. Doc Day is presented in partnership with Screen Ireland, with support from Screen Training Ireland.